Yug & manjiri in the car! Kaala Teeka 24th August 2016 Episode Written Updates :- The last night episode of the TV series Kaala Teeka begins with Vishwa carry Naina as he thinks Naina is an auspicious being Kaali’s daughter and he then carry Naina in a basket and keep her near bank of river. In this same spot Kaali also decided to finish her life but she became shocked when she sees there an infant baby is crying. Kaali now sees a priest there and elaborate the whole story to him. Now the priest explains to her that this is her destiny that she sees this infant baby now she is having responsibility to raise this baby as god wishes’ so. May be that is why god makes meet Kaali with the baby. Now Kaali also announced that this baby will be her reason to live as right now she is having no reason to live. Kaali said I lost my baby in my womb so now I will rear this baby and she just embraced her. In the mean time in Vishwa’s family birthday celebration planning is going on for Naina, in which Dadi said we need to prepare a big Rangoli like the way Kaali used to and she stop. She asked a girl to call who will prepare Rangoli. Yug come and Dadi asked to him that she is doing preparation of celebration for Naina and all of sudden Gauri announced that Naina is missing. Everybody searches Naina searches Naina everywhere and realised that she is missing. Dadi and Gauri broken down in tears and the family have been sees worried for Naina. 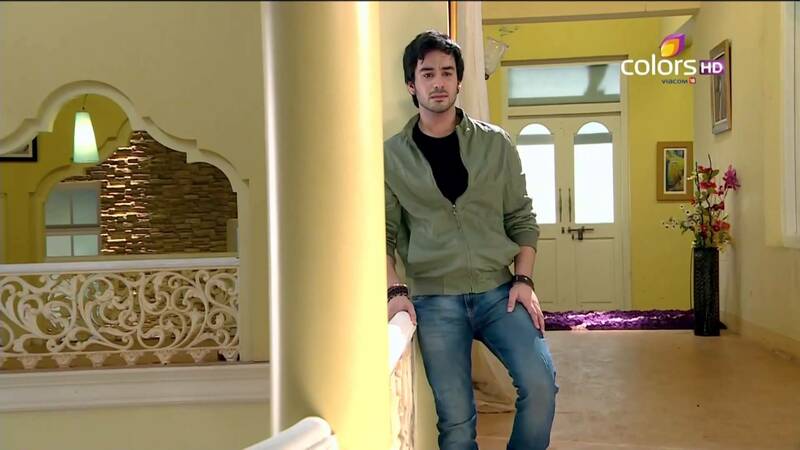 Vishwa feels pity to see them worried as it is him actually who is responsible for the missing of Naina. Vishwa also feels that it would be better if I can reveal the truth to you Yug and Gauri but he also thinks still if I want but I can’t reveal the truth to you. Kaali now keep Naina in a palm of clothes’ and she thinks to sweep the temple to have some money. Now when Kaali was busy sweeping the floor she suddenly see Naina is about to fall down from palm, she rushes to Naina and thankfully she catches Naina and saves her.